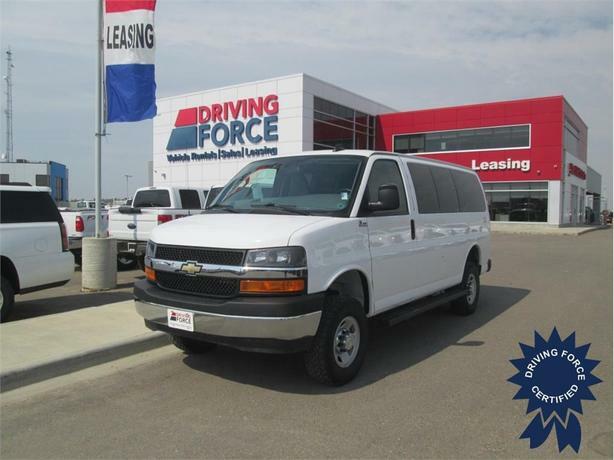 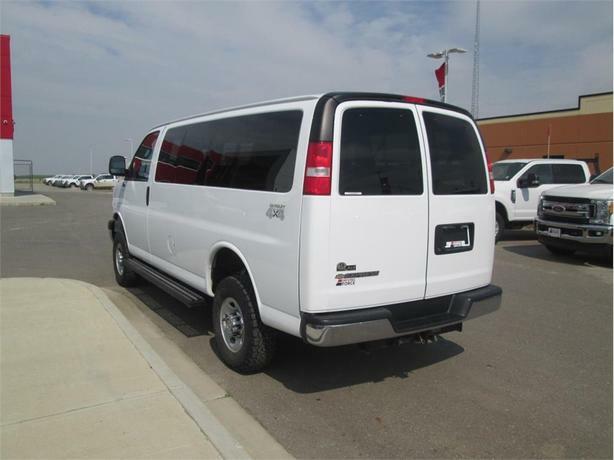 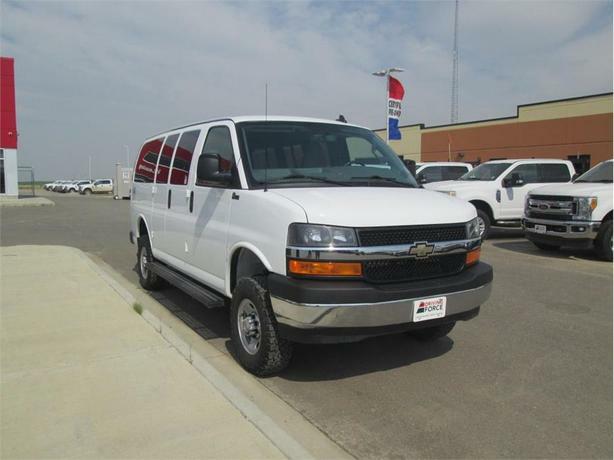 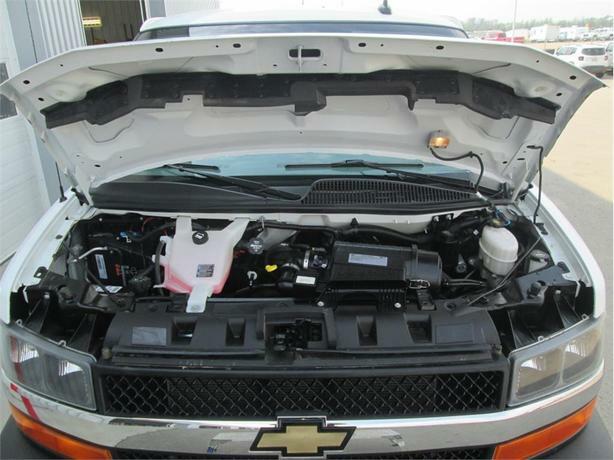 This 2017 Chevrolet Express 3500 LT 12 Passenger 4X4 Van comes with a 6-speed heavy-duty electronically controlled automatic transmission, 3.42 rear axle ratio, swing-out passenger side doors with 60/40 split, custom cloth trim, 2-3-3-4 seating configuration, AM/FM stereo with MP3 player, heavy-duty trailering equipment, heavy-duty locking rear differential, Bluetooth for phone, leather-wrapped steering wheel, steering wheel controls, remote vehicle starter system, rear-window electric defogger, inside rearview mirror with Rear Vision Camera display, 150-amp alternator, ladder-type frame, 16-inch wheels, 120V power outlet, single-zone manual air-conditioning, rear auxiliary heater, front and side window defogger, cruise control, and Vortec 6.0-litre V8 gas engine providing 342 horsepower at 5400 RPM and 373 lb-ft of torque at 4400 RPM. 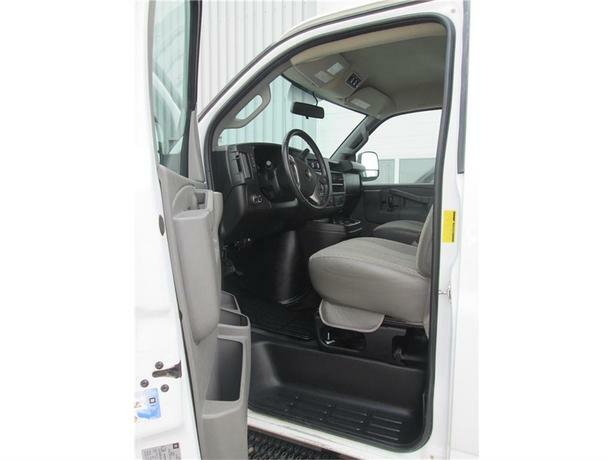 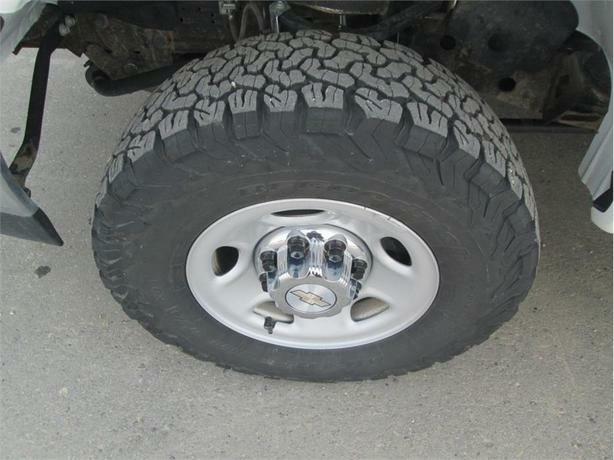 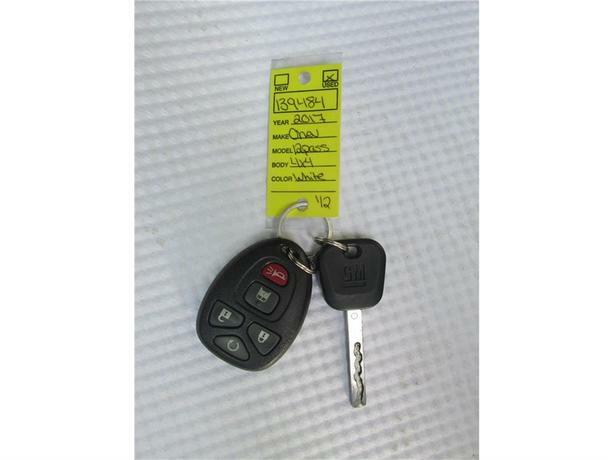 The GVWR rating is 9,600 lbs (4,354 kgs). 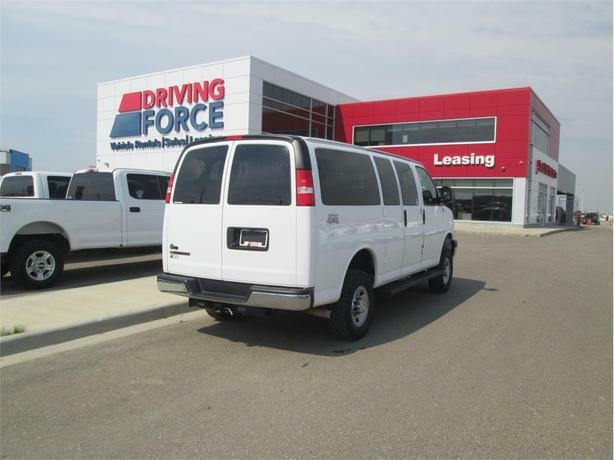 For more information about this unit, send us a message using our web form and one of our commercial vehicle experts will be with you right away.